In stainless steel tanks at a controlled temperature of 26°-28°C, with 20-30 days of skin contact. 12 months in French oak and 14 months in Slavonian oak. A further 6 months of bottle ageing follows. 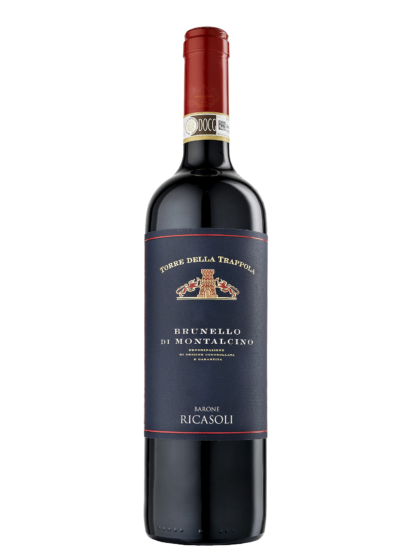 This small production of Brunello di Montalcino comes from selected grapes grown in the vineyards located on the southeast facing slopes of the production area, which are vinified using the most modern cellaring techniques. The production plant is manual as to obtain low yields per hectare. Hot summer, especially in the latter part of August, and beautiful month of September that allowed to fully completed the ripening process of the Sangiovese grapes. The harvest took place as usual in the first days of October; the grapes look healthy and of excellent quality. Classic colour with garnet hues. The nose shows ripe red fruit, cherry, spicy notes of liquorice and chocolate. The mouth is intense with well-balanced tannins; the strong flavour sensations recall memories of the nose hints.